One of the most important advances in modern health care, vaccinations play a crucial role in keeping your pet safe and healthy by teaching his or her immune system to defend itself against diseases it may encounter. At Whitemarsh Animal Care, we are a full service veterinary clinic specializing in providing affordable vaccinations among other preventative medical and holistic measures. We are staffed by a multidisciplinary team of qualified and compassionate veterinarians dedicated to optimizing your pet’s health. We also offer combination vaccinations that allow for fewer injections. 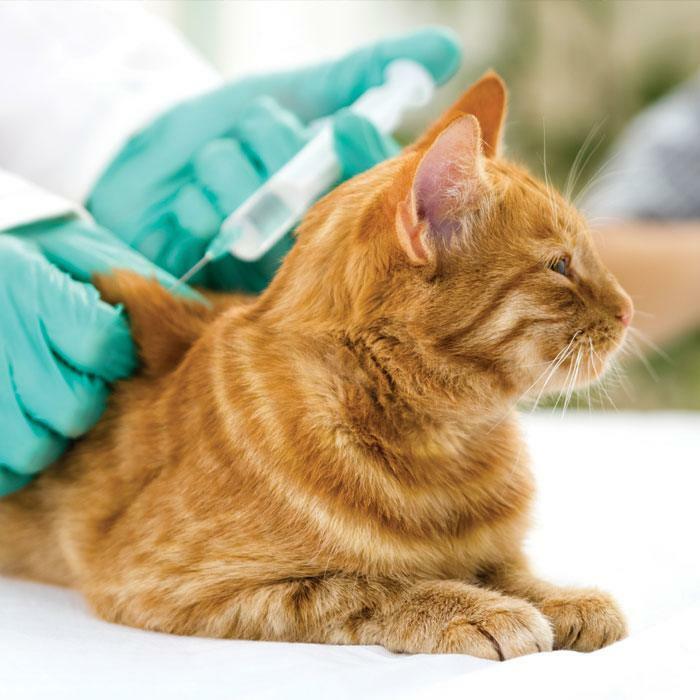 Our advanced veterinary equipment, experience, and relationships with manufacturers allow us to offer these vaccinations at affordable prices for any and all pets, including dogs, cats, fish, birds and reptiles. We are fully committed to providing the highest standard of health care for your pet. To that effect we customize our vaccination programs to your pet’s lifestyle and immune status, making sure not to place undue stress on your pet’s immune system with unnecessary vaccines, like some clinics will do.